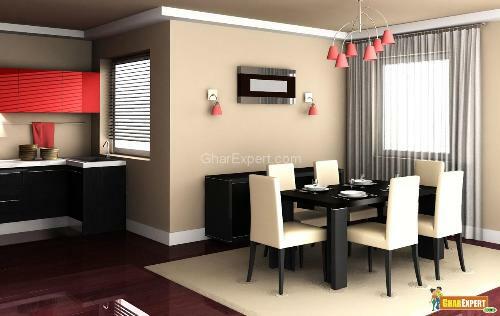 A dining room gives you more pleasure of taking meal than that of one desinged formally. 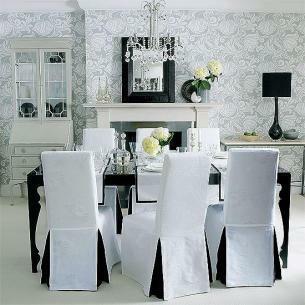 Making dining room informal is very interesting job and lets you enjoy the freedom of decoration. You can alter the look of dining room by placing large dinging tables and chairs which are even in numbers. The table is mainly rectangle in shape. It will be helpful to provide extra space for seating, a calm and casual place for your friends. Lets’ decorate the place in our own ways. Put refreshing flowers in a vase placed in the mid of the table and make the surroundings refreshing with flowers. It creates relaxed environment during casual dinners. The candles create affectionate and energetic environment. 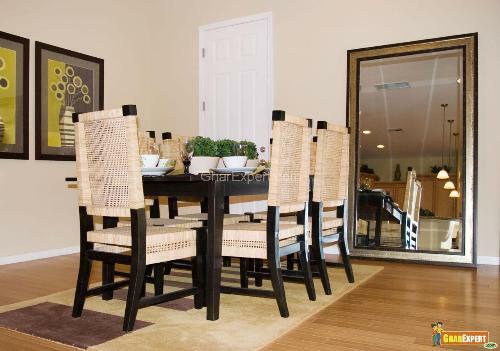 Carved tables painted in dark color and chairs in light color make dining room more casual. Apart from using simple dull tablecloths, give your room attraction by means of using blended models of chairs and covering them with tablecloths. Use distinct and creative ideas while making selection for the fabric. It turns the mood from a formal to casual style. 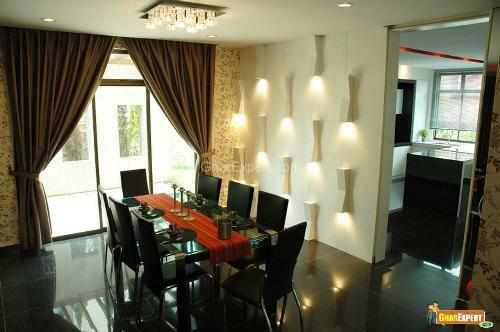 Dining table is the centre of attraction in dining room. 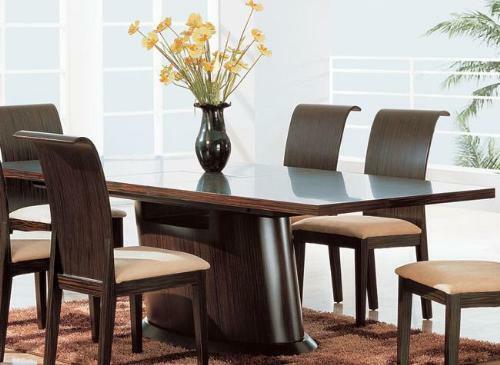 Select dining tables showing tremendous designs which impress guests while taking food. These dining tables augment the look and grace of your home. There should be six, eight, or twelve chairs in your dining room. These days the table made up of wood looks nice and makes your dining space outstanding. If you don’t want to demonstrate the table, you should cover it with a table cloth. If you do not want to keep large and huge furniture, you can go for plastic furniture which is very simple to maintain, move from one place to another. Flooring is one of the most desirable components of dining room. 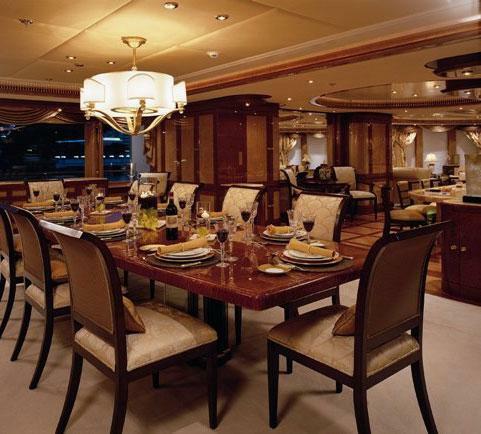 A variety of flooring such as wooden flooring, ceramic tiles flooring, carpet flooring make dining room relaxed. Wooden flooring is very simple to make the place dirt free whereas ceramic tiles offer many colors which are fitted to any room. Although normal carpets make the room attractive but sea green carpet confers a very usual sense to the dining room. To place a layer of small carpets on floor is an easy method to make flooring much more attractive. Intricately designed carpets make the floor more attractive. The light shade of color instead of dark rich in color works for the walls of dining room. You can use brilliant light colors such as yellow, white, or light green. For additional attention provide artificial fence treatment by means of using ‘Venetian’ plaster treatment or a wash stain technique for thinned fixtures mark. Use a fanciful rod in the place of recognized or formal cornice plank. 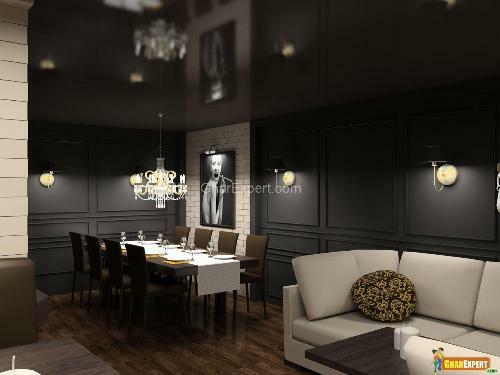 Painting portrait, you can use things which are more amusing and enjoyable in dining room. Hang up the drapery or a simple picture onto the wall. The next option is to use a simple painting on the wall. Make things easier by removing layer above layer. You should use only one layer like window topper or transparent curtains, shade or gloominess. You can fix up fanciful track illumination which gives a quality of twisted lights. Good quality of lighting like ambient lighting, chandeliers, or candles is very useful. 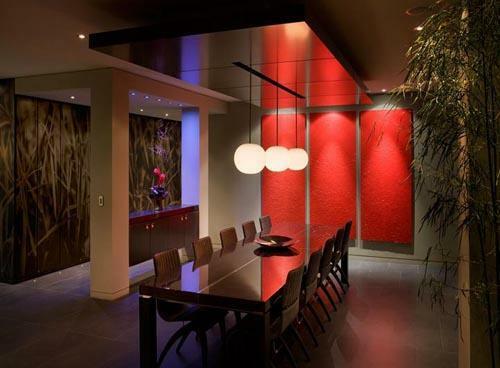 This lighting creates twilight effects in dining room. It provides good dining ambiance and makes the room distinctive. You can use Asian lamps on the table. You can give up electricity completely and hang up candle lit equipments above table and on the top of walls. It gives serene effect to your dining room. You should not use old chandelier in dining room. Use mirrors to decorate ceiling with a rigid support when you wish to represent ceiling. It is very easy to emphasize ceiling by using ceiling pendant which are pretty and admired to decorate dining room. They can be placed in large as well as small ceilings. On sideboard or on the wall place a mirror which reflects table. Gemstone chandeliers in the centre of dining room create tranquil effects to the room. Remove all calendars and clocks which give stress to your meal. You should not keep television in dining room because it diverts attention while taking food.